Think you don’t have time for breakfast? Think again! 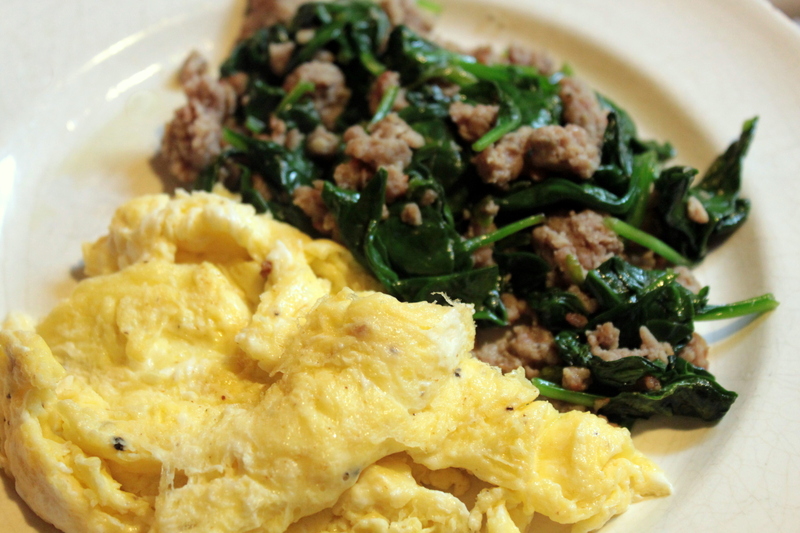 With a little planning, it can take just a couple of minutes to throw together a delicious and hearty breakfast! Of course, you have to throw your old ideas of what breakfast should be right out the window…and you should, because breakfast can be so much more than that crap from a cardboard box they tell us is good for us! Typically, I will spend Sunday prepping breakfast items for the week. I clean and chop veggies, brown a pound of breakfast sausage, cook bacon pieces or chop up some uncured ham. This way during the week, when mornings get crazy hectic, I am armed and ready with stuff I can just throw in a pan. Making breakfast has been the single biggest change I have made in my daily cooking. I am ashamed to say, but my kids have subsisted on breakfast corn dogs (you know the ones…sausage wrapped in pancake on a stick), frozen waffles, kolaches and breakfast sandwiches for far too long. I always wanted to cook a good breakfast for them, but I always thought it would require too much time. How wrong was I? It doesn’t take anymore time to make an omelet than it does to heat a waffle. Ok, maybe it takes a little more time, but it’s worth it. Plus, I have a routine down now, and I can knock out a home cooked breakfast (on two burners) for me and the kids in less than 10 minutes. 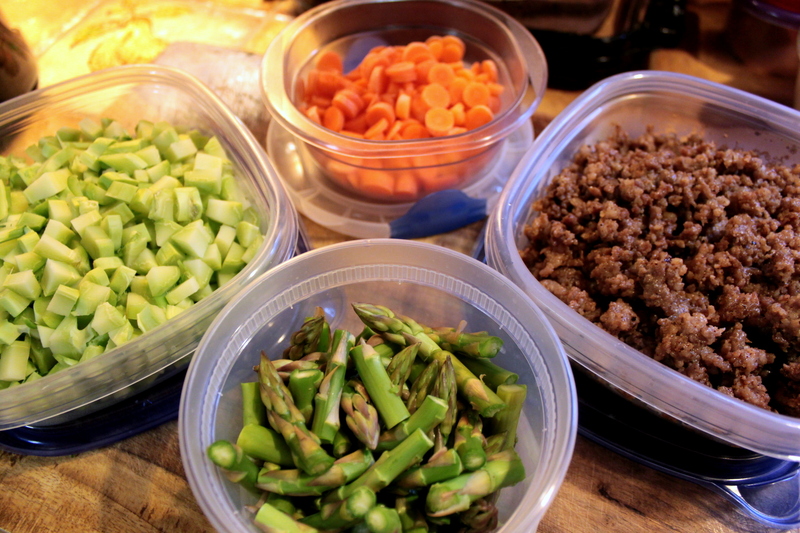 Chop a variety of veggies into bite size cubes and store in airtight containers in the fridge. Don’t throw away your broccoli stems, either! These have become one of my most favorite additions to breakfast. Chop ’em up and add ’em in. Brown sausage or bacon or chop up some ham. This week I have broccoli stems, carrot coins, asparagus and sausage. Some other good ideas are chopped sweet potato, mushrooms, onions, spinach (or kale!) and squash. You can use any vegetable you have on hand. Try different combinations. You will get an idea pretty quick of what you like best together. 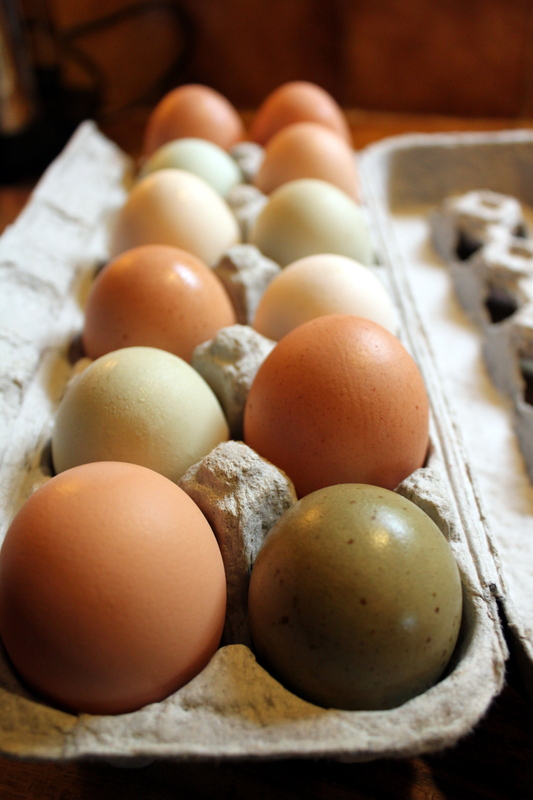 In addition to veggies and meat, you can use some good pastured eggs. After all, it is breakfast, right? I have a local place that has yard eggs right now, and I buy about 4 dozen at a time. How pretty are these? Delicious, too! To start, crack however many eggs you want into a bowl, season with salt and pepper and beat slightly with a fork. Set aside. Throw some veggies into a pan over med to med-high heat with a little coconut oil or a pat of pastured butter, let them get slightly soft, add in some of the browned meat and then toss in the eggs and cook until done. I stir it all so it is like a big scramble, but you could just let the eggs set up in the pan and have a giant omelet. Once you start doing this, you will get the hang of it and realize you can make breakfast out of almost anything! When all else fails and you have not prepped any veggies or meat, use leftovers! 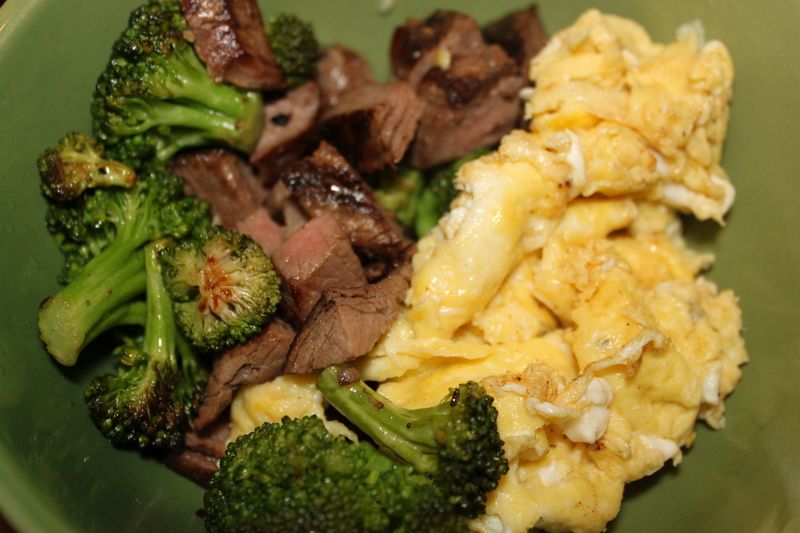 Two nights ago I had a filet and broccoli for dinner but did not eat it all, so it became breakfast today! 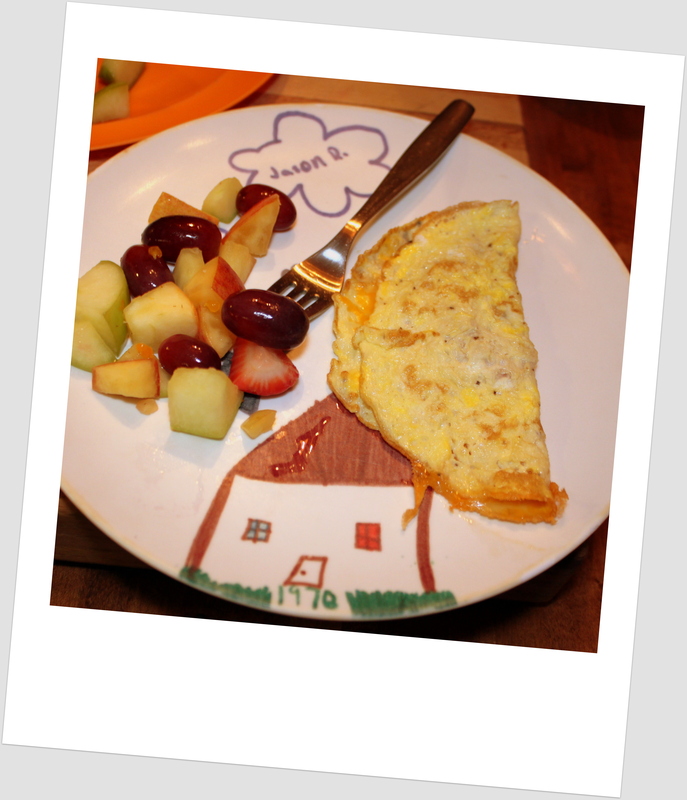 Since you are already making breakfast for yourself, just get another pan going and whip up some omelets for the kids! Serve it up with a side of fresh fruit and voila! supermom! Now, get in there and start cooking. You (and your kids) will be glad you did!